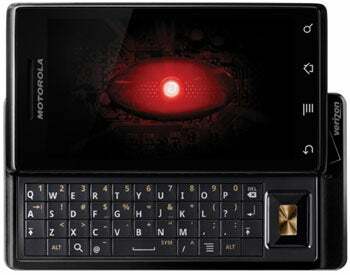 Well, gang, it's official: Verizon's Motorola Droid smartphone is on its way into the world. The Droid, unveiled Wednesday, will hit store shelves on November 6 with a $199.99 price tag, after a $100 mail-in rebate and with a new two-year contract. The phone is the first to run Google's brand new Android 2.0 operating system, and it packs plenty of punch not previously seen on the smartphone market. Not surprisingly, plenty of people are already speculating whether it'll put a dent in the sales of that other high-profile device (you know, the one whose manufacturer is occasionally compared to a communist regime). Regardless of whether you like your phones with a lowercase "i" or a giant red eye, the Verizon Droid has some undeniably interesting features. Here are five that stand out the most to me. The Verizon Droid has an impressively high-resolution screen. Its 3.7-inch, 854-by-480 pixel display offers significantly more viewing room than the iPhone's 3.5-inch, 480-by-320 pixel offering. The added space should eliminate the need for scrolling on most standard-sized Web sites. Verizon also promises DVD-quality video. Combine that with the built-in HTML5 support in the Droid's browser, and watching and surfing should be a real pleasure. 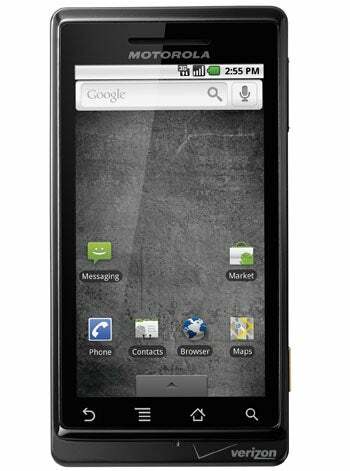 Verizon's Droid will be the first to feature Google's new turn-by-turn GPS navigation system for Android 2.0. The system, officially named Google Maps Navigation, will combine the phone's GPS capabilities with Google Maps to provide three-dimensional mapping views and voice guidance to help you reach your destinations. 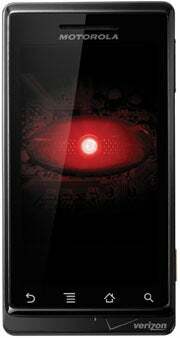 You can even activate the program and have it begin navigating with voice-issued commands. Voice activation is integral to the Droid experience. With the tap of a single button, you can conduct intricate Google searches simply by speaking. Droid will even give you the option to directly call or map any business or residential result that comes up. Speaking of search, Droid can also dig for info on the Web and on your phone at the same time, making it easy to look through messages or contact info as well. One of my biggest frustrations with using an iPhone or iPod Touch is being limited to running only one function at a time. 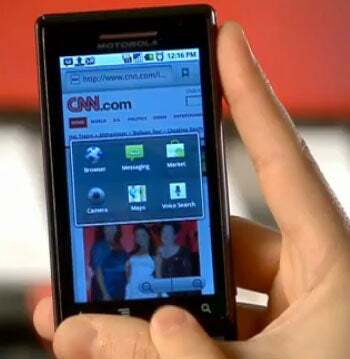 Verizon's Droid allows you to simultaneously run up to six applications and toggle between them with an on-screen menu (activated by holding down the "Home" button for a few seconds). If you're like me and find those virtual keyboards to be an absolute beast to type on, the presence of a physical QWERTY keyboard is a significant plus. Of course, the typical drawback to having a slideout keyboard is the added size and weight. The Droid, however, is described as being the thinnest QWERTY-sliding smartphone in the world right now. It weighs only a single ounce more than the iPhone. Want to see the Droid in action? Check out Verizon's 5-minute demo video, and be sure to click over to PC World's "First Look" story for a complete rundown of the Droid's hardware and software. If you're hungry for more info on the new Android "Eclair" OS, pull up my complete Android 2.0 primer for a low-calorie, high-flavor look at what the software has to offer. Just don't scarf it all down in one sitting -- I've prepared a delicious pudding for dessert, and it'd be a shame if you were too full to join me. JR Raphael satirizes smartphones at eSarcasm, his gourmet kitchen of geek humor. You can keep up with him on Twitter: @jr_raphael.